With the release of the famously controversial The Golden Compass (the least religiously-oriented of any of the books in Philip Pullman’s His Dark Materials trilogy) upon us, what better time to look at the use of religion in film? I’m not talking The Ten Commandments or The Passion of the Christ here – after all, that’s just obvious Biblical stuff. No, what’s more interesting is the real world reinterpretations of Judaeo-Christian religious mythology on the big screen that are not taken directly from holy texts; films that look at what religious mythology would exist or appear as if seen face-to-face, directly, in “real life.” More Stigmata, less The Nativity Story. In other words, if it’s all true, and the battle between Heaven and Hell is right here beside us (as John Constantine might say), what could you see around the corner tomorrow, when you thought you were just coming home from work? Not surprisingly, or perhaps very much so, horror is the key proponent of religious mythology in film. From The Omen to The Devil’s Advocate and Constantine (the latter two both with whoa-man Keanu Reeves, but more on that later), the devil, Hell and all that implies have been a goldmine for thinking man’s horror and non-thinking man’s horror alike – and classic and classically horrible alike. What better way to instill fear than to tap into what we’re already afraid of, or at least what we already recognize as being evil? Christian religion is a whole mythos full of extremely recognizable characters and tales, from exorcisms to the ten plagues of Egypt, with which to terrify eager audiences. Satan himself, naturally, is the most popular target, portrayed in film as everything from a powerful guy in a crisp white suit to a Wall Street banker to… a lawyer in a crisp New York suit. Hmm, I’m sensing a theme here – but it could just be me. Perhaps filmmakers just take that whole “sell your soul” for money thing a little too literally. Not to be outdone, of course, the good side has its say as well, with angels making a rousing play for the dominance of Good on the big screen. Apart from Tilda Swinton as Gabriel in Constantine and Emmanuelle Béart as Angel (just the one name, like Madonna) in Date with an Angel, celluloid angels also seem to be predominantly male. Nicolas Cage (who kind of goes the other way in Ghost Rider – man, you never can tell about someone), John Travolta, Christopher Lloyd, Denzel Washington, Matt Damon, Ben Affleck, and European actors Otto Sander and Bruno Ganz have all played angels. Wow, male actors do get all the fun… and I thought actors liked the evil parts (rogue angels don’t count, Damon and Affleck). And then there’s the epic, all-encompassing look – because someone has to do it, and high fantasy clearly has a head start on the whole supernatural war between good and evil shtick. The genre definitely takes its share, both in film and in print (I’m on to you, Tad Williams. A martyr nailed to a tree and the Mother Church? Plus a king named Prester John? Very subtle.). The classic example of course being C.S. Lewis’s Narnia epics, but Philip Pullman is now jumping into the fray as well with his trilogy’s move onto the big screen. In the end, what this probably all comes down to is our intense desire to know – what’s out there, what the world is, if there is a God of some kind. And movies have swooped down to help fulfill that need in a more visual way, bringing oral and printed tales of deep-seated beliefs and fears to life. Ahem, well, with all that “deep” stuff out of the way, let’s get to the lists. Here’s a quick guide to religious phenomena in film, through horror and fantasy, and even into romantic comedies (intriguingly, angels are more prominent here). Not everything is here, I know, but this isn’t just a film + religion = here kind of list. Nevertheless, hopefully it’s somewhat of a good overview. And hey, it looks like that reading of The Divine Comedy I did in college will finally come in handy. My personal favorites are marked with a *. Ah, the Devil, a principal character or idea in almost every movie in HORROR. Sadly, like all big stars these days, he’s decided to move on from the silver screen and star in his own comedy TV show: Reaper. And yes, he wears a suit in that one too. * Rosemary’s Baby (1968) – Starting off our trio of “um, I think there might be something wrong with my child” flicks, this Roman Polanski horrifier stars Mia Farrow as a mother suspicious that her unborn child might be, well, evil. Of course, they also live in a massive, Renaissance, anyone can tell I’m haunted apartment building in New York (the real-life The Dakota building in Manhattan), which can’t help. * The Exorcist (1973) – Probably fairly obvious what this one’s about, if not from the title directly than from the impressive multitude of parodies, sequels, prequels, remakes, supposedly related films, mediocre comparisons, etc. etc. Infamously starring Linda Blair as the jointless possessed child, and directed by William Friedkin. * The Omen (1976) – Finishing off the trio, this horror classic stars cute little Damien (Harvey Stephens) as pure EVIL. Ah, fun times. Also starring Gregory Peck and Lee Remick as the child’s parents. Remade in 2006. The Seventh Sign (1988) – Demi Moore is the only person who thinks the apocalypse is real. And it’s coming. Soon. Why can’t it ever be coming, like, 50 or so years from now? * The Devil’s Advocate (1997) – Let’s just say that it’s not only an expression in this film. With Keanu Reeves as a newly hired Manhattan lawyer whose new boss might be a bit more than he seems – as he is played by Al Pacino, who do you think the boss really is? Also with Charlize Theron as the wife slowly going the Ophelia route (i.e., total insanity), and Gladiator‘s Connie Nielsen. Written by Michael Clayton director Tony Gilroy, who also wrote the Bourne films and the cult love story The Cutting Edge. End of Days (1999) – In a world where the devil (Gabriel Bryne) walks among us, only one man can save us from eternal torment and he is… the governor of California. Stigmata (1999) – Another Gabriel Bryne appearance in the same year (and, actually, this one was released a few months before End), but this time as a priest instead of Satan. Interesting. Patricia Arquette may be experiencing stigmata, or the physical manifestations of Christ’s wounds from the crucifixion. Determined not to be a one-note thriller, Stigmata was also a bit controversial with its none-too-positive view of organized religion (in other words, ever-popular target the Roman Catholic Church). If you know what The Golden Compass is about, same general idea, smaller scope. The Ninth Gate (1999-2000) – Another Roman Polanski flick, but sadly, not quite Rosemary’s Baby. Nevertheless, it’s got Johnny Depp trafficking in mysterious rare books that may or may not (I’m going for “may”) summon the devil. Lost Souls (2000) – Winona Ryder. The Antichrist. Mediocre entertainment unfolds. * Constantine (2005) – I’ll admit it, I’m a closet Keanu Reeves fan. Scorn his acting abilities if you must, but he headlines a solid portion of my favorite films. The minimalism works for me. Plus, I clearly have a thing for Rachel Weisz horror, as I also have The Mummy on my repeat viewing list. And, okay, this isn’t exactly true to Alan Moore’s blond-haired antihero from the original comics, but it’s still cool thriller entertainment. Look for Shia LeBoeuf in his sidekick days (see I, Robot) as Reeves’s, well, sidekick. Also starring Swinton as Gabriel, Gavin Rossdale as Balthazar and Djimon Hounsou as Papa Midnite (that actually is his character’s name). Plot: Reeves is John Constantine, a chain-smoking cynic condemned to Hell who is trying to make amends by helping to send demons back where they came from. Weisz is a cop who doesn’t believe her sister really committed suicide. They cross paths. Coincidence? Ah… no. The Reaping (2007) – Um, not the best… but it’s, ah, recent, and, um… about the ten plagues. With a 7% critics rating on Rotten Tomatoes. Well, you can’t win ’em all, Hilary. Other notable horror: Technically, The Mummy is about ancient Egypt, but it’s got a more interesting version of the ten plagues in it (sorry, Reaping), so why not. I would include Stargate as well, but I think that’s definitely stretching it. And it’s not really horror. Oh well. The Chronicles of Narnia – With Disney’s release of the first installment in 2005 (The Lion, the Witch and the Wardrobe) and Prince Caspian in 2008, C.S. Lewis’s Christianity-laced fantasy tales have been brought with much commercial success to the visual generation. Only five more left to go! Can’t deny I’m excited for a film version of Voyage of the Dawn Treader (est. 2010) with an actual budget… In any case, whether or not you like the religious layers in these stories, I have to say that when I read this series as a child, I had absolutely no idea of any religion at all (could the same be true for young readers of The Golden Compass?). And to be honest, I was disappointed and felt almost betrayed when I found out – my own little loss of innocence (things aren’t always exactly what they appear to be???) – although the last book in particular made a lot more sense. The Golden Compass (2007) – The epic fantasy book gets a * but after an early glimpse at conflicting reviews for this film (UK’s Guardian vs. Times – may the person you agree with most win! ), I’ll have to wait and see on the movie. For more on the plot, religion and controversy, click here. * Hellboy (2004) – Guillermo del Toro’s cult classic about a big red demon with horn issues who works for the government’s paranormal bureau – which, no, is not situated in Area 51 for once. Starring Selma Blair, John Hurt and Ron Perlman as Hellboy. Ghost Rider (2007) – Well, if you make a deal with Mephistopheles, you gotta know weird things are gonna happen. Nicolas Cage gets to have a head that’s actually a skull which is constantly on fire (must be a burning bush kind of fire) and take people down. Doesn’t sound too bad. * Wings of Desire (1987) – The Cannes award winner about two angels (Ganz and Sander) who wander unobserved through Berlin, this German film tells of Ganz’s angel’s growing love for a woman who can’t see him. Bonus points for including a character modeled on epic-maker Homer! Peter Falk (Columbo, The Princess Bride) also makes an appearance. If the plot sounds familiar to you but you don’t recall subtitles and/or German, see Angels, City of below. Date with an Angel (1987) – This (literally) glowing movie stars Béart, Michael Knight and Phoebe Cates in a light (and regrettably dated) combo of Wings of Desire and Splash. Similar, at least in title: I Married an Angel, based on a play. * Angels in the Outfield (1994) – A warm-hearted remake of the 1951 film of the same name, this Christopher Lloyd-starrer features a very young Joseph Gordon-Levitt as a young foster child who wishes his favorite baseball team, the Angels (get it? ), would win the pennant. Angels, including Lloyd, respond to his request. Sigh, angels never respond to my requests. Michael (1996) – As in, the Archangel Michael (John Travolta). With wings and everything, including a drinking problem. Also with William Hurt, Andie MacDowell (as the obligatory “expert” on angels), Bob Hoskins, Jean Stapleton, and Joey Lauren Adams. 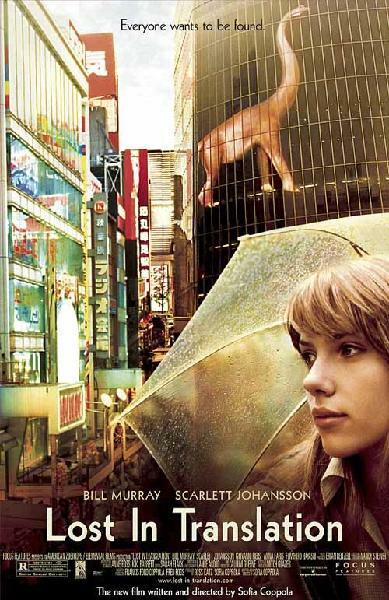 Directed by Nora Ephron of You’ve Got Mail and Sleepless in Seattle fame. The Preacher’s Wife (1996) – Another remake. An all-star cast (Whitney Houston, Courtney B. Vance, Gregory Hines, Lionel Richie) is featured alongside Washington’s turn as an angel named Dudley (played by Cary Grant in the original) who arrives to help “fix” the family’s problems. Unfortunately, the movie is not as good as the cast warrants. Deconstructing Harry (1997) – A Woody Allen comedy that takes a detour into Hell, with Woody’s own unique vision of the levels in Dante’s Inferno. I think that pretty much explains the whole movie. Oh yes, and Billy Crystal is the devil with a devilishly sinister plan to ruin the world through air-conditioning. * Dogma (1999) – Shockingly, another controversial one. And from Clerks auteur Kevin Smith? Who would’ve thought? No sailboats here, this comedy about some seriously annoyed angels on the warpath takes a bevy of stars (Damon, Affleck, Rock, Hayek, Carlin, Lee, Garofolo, Morissette, Rickman, Jay and Bob) and gives them lots and lots and lots to say about organized religion. Copious amounts of dialogue in a Smith film is odd, I know. Amid all the anger over its portrayal of Catholicism, and many thousands of hate mail letters, a disclaimer went up before the movie that, among other things, dissed the platypus (can you believe it? the nerve). City of Angels (1998) – Wings of Desire, Meg Ryan-style. Cage shows up as the angel who falls in love. Bedazzled (2000) – Besides Deconstructing Harry, this is the only comedy on the list that deals with the devil. Of course, Elizabeth Hurley as Satan isn’t exactly scary, or at least not in the typical horror genre sort of way. Brendan Fraser makes another appearance here as a schlub willing to sell his soul for the lively Frances O’Connor (Mansfield Park!). Without appearing desperate, naturally. Down to Earth (2001) – Yep, it’s a remake. What a surprise. This one goes all out however, as it’s actually a remake of a remake of a play. Who said there were no new ideas. Chris Rock stars as a comedian who is accidentally killed and returns to earth as a loathed rich man. I have to say, Chazz Palminteri and Eugene Levy as angels? I’m a little afraid. Bruce Almighty (not Evan Almighty, it’s just Noah’s Ark so I don’t want to hear it) – This 2003 film takes an amusing look at a few days in the life of God (Morgan Freeman), through the contortionist that is Jim Carrey. Jennifer Aniston also stars as the long-suffering love interest. It’s a Wonderful Life (1946) – If you’ve somehow managed to avoid this Frank Capra classic through countless holiday seasons, kudos to you. Either way, you probably know what this is about and, yep, that angels are indeed involved. To see a more comprehensive list of angels in film, click here. For more on Satan in pop culture, click here. 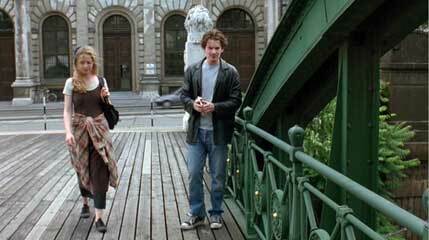 Does it sometimes seem as if every big city in the movies is New York and every romantic destination Paris? Well… they are. (Hmm, I’m not entirely sure that makes total grammatical sense, but ah well. You get the point, hopefully.) According to an article in The Observer, Paris and New York have achieved such “overlord” location status on the big screen that most filmgoers feel as if they’ve been there (at some point, haven’t we? or have I just seen National Lampoon’s European Vacation too many times? ), even if that is unfortunately not always the case. On the other hand, though, movie Paris = no customs! Tough call, really. However, New York and Paris don’t have all the big screen fun, and there are other locations, sometimes forgotten in the glow of the, ah, terrible two, that have achieved a sort of mythical status as well. They too have celluloid alter egos, or impressions of the city created from a jumble of film recollections and real world experiences. These locations certainly also deserve a place in the sun – for better or, perhaps more often than is admitted, for worse. Well before they awkwardly greeted each other in Paris, Jesse and Celine memorably walked the streets of Vienna in Richard Linklater’s Before Sunrise, forever establishing Austria’s capital as the place for soulmate-at-first-site hopefuls. Hey, Ethan Hawke’s gotta sit down across from you on that train eventually, right? Vienna, and particularly its famous ferris wheel, the Reisenrad, was also featured in the Orson Welles noir classic, The Third Man, which takes place in Vienna right after World War II. You’ll never look down from the top of a ferris wheel in the same way again. Another Vienna classic: Amadeus, about Mozart and Salieri. Trivia: The battle fought at the beginning of the film Gladiator is mentioned as taking place at Vindobona, which is actually the early name for Vienna. It has, you know, expanded a bit since then. For other films that take place in and around Vienna, check out this nice little review by Dustin Penn here. From Rabbit-Proof Fence and The Dish, to Crocodile Dundee and the post-apocalyptic Mad Max, to my own mother’s obsessively favorite films A Town Like Alice and My Brilliant Career, Australia’s Outback seems to be a source of endless fascination for both filmmakers and filmgoers. What really goes on out there in all that space? We don’t really know, but it must be something mysterious and exciting and, of course, intriguingly rugged. 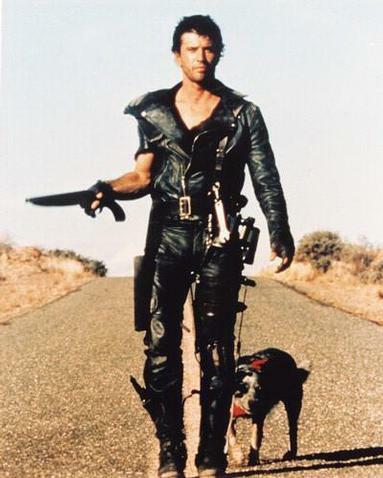 Trivia: Crocodile Dundee is the most successful Australian movie ever. I guess all I can say is… wow. For an interesting look at the Outback’s connection to the horror movie genre, click here. Let’s just say it’s called “Things that go bump in the outback” – make of that what you will. Sure, filmmakers have a bit of an unhealthy obsession with the New York skyline, but those sloping streets and red bridge towers have inspired their own impressive number of classic films and made San Francisco’s unique cityscape internationally admired. Really, the city has almost too many classic scenes. 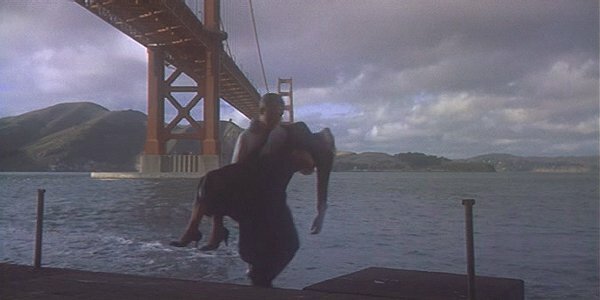 Scottie saving Madeleine from the waters below the Golden Gate Bridge in Vertigo. Dirty Harry finding evidence to a murder on the city’s rooftops in Dirty Harry. Benjamin Braddock driving across the Bay Bridge (the wrong way, but in any case) in The Graduate, a bridge that also appears in The Maltese Falcon. For a more contemporary scene, there’s Mia, who crashes her car into a trolley in The Princess Diaries. And, of course, not forgetting Steve McQueen’s very famous car chase through the city’s streets in Bullitt. San Fran fun: And you thought San Francisco’s hills were just for exercise (and really frustrating bike rides), check out what else someone did with those gentle slopes. For a more complete list of movies set in this California town, click here. There’s just something so indescribably exotic about a city that is both very much like a city near you and at the same time entirely different. With its bright lights, bright colors, bright pop culture, and seemingly limitless supply of population (see trivia below), Tokyo appears to be the perfect setting in which to be both completely surrounded and entirely alone. It’s the city where Charlotte and Bob had a fleeting connection in Lost in Translation and where people struggle for survival in a post-apocalyptic future (Akira), but also where James Bond (You Only Live Twice) and his modern counterpart Austin Powers (in Goldmember) both encounter, you guessed it, sumo wrestling. And, uh, there’s that Fast and the Furious: Tokyo Drift movie as well – of course. Trivia: Tokyo is the largest metropolitan area in the entire world. With well over 30 million people (for some perspective: the New York City metropolitan area has about 18 million – more than 10 million less), you can certainly understand how that would be. Okay, I can probably guess what you’re thinking right now: great, more penguins. (and, well, I have a huge picture of them right above this, so why wouldn’t you be?) But really, what you should be thinking is: action and horror. I don’t know if it’s the treacherous ice, low likelihood of survival, lengthy hours of darkness, or those polar bears (because you know they mean business), or all of the above, but the arctic ice is accumulating quite the impressive collection of action/horror films: The Transformers, 30 Days of Night (it’s in Alaska, but north of the Arctic Circle, so I’m gonna go ahead and count it), Alien vs. Predator, National Treasure, The Thing, The Thing from Another World, and Lara Croft: Tomb Raider (Siberia, close enough). And then, yes, not to forget of course Happy Feet, March of the Penguins, Arctic Tale, The Endurance, and Eight Below (and thus also Nankyoku Monogatari). Plus Insomnia (both versions). Trivia: One of the original horror classics of literature actually began in the Arctic Circle – Mary Shelley’s Frankenstein. If you’re looking for exotic mystery in a film, Cairo seems to have it in spades. And how could it not? Considering its association with over three thousand years of ancient Egyptian civilization, Cairo is quite hard to beat as a movie location. Naturally, you’ve got your obligatory pseudo-Egyptian myth horror (The Mummy), other mythologically- inspired action (Indiana Jones and the Raiders of the Lost Ark), tourism (Death on the Nile), and just plain action (The Spy Who Loved Me). In other words, if you’re looking for an otherworldly adventure complete with historic mystique, celluloid Cairo is where you want to be. Cairo fun: If you like what they did in that San Francisco video, see what happens when they take on the pyramids. Well, you can’t say that film has been easy on poor, much maligned Transylvania. For many long years, Transylvania has had to suffer numerous indignities as the place inextricably intertwined with vampires and most anything gloomy and weird (that is somehow associated with darkness and rain, in any way at all). At least they pretty much know who to blame: Bram Stoker, who decided to have his Dracula live there (despite the fact that Dracula’s inspiration, Vlad the Impaler, actually ruled over nearby Walachia, which got off easy, all things considered). Transylvania, a region in Romania, is, I’m sure, a perfectly lovely area with many attractive medieval ruins, but sadly, this image was not meant to be. Instead, it’s the spooky, rainy, shadowy, depressing, crumbling, seriously weird, and, let’s just say it, eeeevil location of Nosferatu, Young Frankenstein (and Mary Shelley’s monster wasn’t even originally, um, “born” in Transylvania), Van Helsing, Dracula: Dead and Loving It, even The Rocky Horror Picture Show (technically). What does the real Transylvania actually look like? Check out some Flickr photos here to see. And check out the official tourism office here. Another location with quite unfortunate film credentials? Bratislava, the capital of Slovakia. Apart from its seriously depressing depiction in Euro Trip, it stars in, of all things, Hostel. I think that pretty much says it all. Not just the setting of one of my favorite comedy moments in film (Look kids! Big Ben! Parliament! ), and thus also infernally frustrating roundabouts, London has been the setting of countless classics and, well, not-so-classics, as well as more than its fair share of apocalyptic/future films (28 Days Later, Children of Men, V for Vendetta), which is, needless to say… interesting. Although New York has faired no better, if we’re being honest (that poor Statue of Liberty, she’s been crushed by a tidal wave, destroyed by apes, buried in ice, animated by slime, used as a mutant-creating weapon and a mind wiping device, etc. etc.). The British capital, or rather, its buses, are also fantasy favorites (The Mummy Returns, Harry Potter and the Prisoner of Azkaban). And naturally, you can’t have a timeless city without an endless number of romantic comedies (Notting Hill, Bridget Jones, Love Actually, The Holiday). In short, the big screen London has got something for everyone. Not the kids – but rather those (like myself…) who prefer to have the lights only, um, partially dimmed. Now, I don’t want to say that I’m petrified at the site of a movie monster or anything; it’s more that I’m petrified at the thought of a horror movie at all. Don’t laugh, but even Scream can send me into nightmares for at least a week. I know, I know, it’s supposed to be a “humorous” film, but watching it for the first time in the empty, open suburbs of the Midwest, with lots of big windows, easily accessible garages, and, you know, telephones, and anyone could get scared. Or so I tell myself (and others, muffled from behind the pillow that’s covering my face). Shaun of the Dead – Without a doubt, one of my favorite movies ever. Perhaps surprisingly, considering the fact that some of my friends do think this a bit scary. Nevertheless, I find it the perfect antidote to being scared out of my wits by an actual zombie movie – I just think of disposable cameras and a “girl in the garden” and all the anxious jitters go away. A spoof on classic zombie flicks (think Hitchhiker’s Guide to the Galaxy and The Office meets George Romero), with a hero who at first thinks the walking dead are simply people who have had a bit too much to drink (an honest mistake), the film’s certainly got its must-have horror moments – bloody zombies attack, screams are screamed, people batter zombies with pool cues – but the humor is priceless. What other movie would have a victory against the zombies moment set to music by Queen? Young Frankenstein – Also containing one of my favorite movie quotes, this classic comedy from Mel Brooks delivers all of the typical horror fare, including a dark and stormy castle, mysteriously creepy castle denizens, and Frankenstein’s monster him/itself, without any of the fright. And of course, look for a great performance from the late Peter Boyle as the monster (he sings!). Bonus (positive or negative still to be decided): it’s now a Broadway musical. It was inevitable. Beetlejuice – The thrice-called ghoul played by Michael Keaton in this Tim Burton film (who went on to make Batman with Keaton as well – I personally would have immediately thought of Keaton as the Dark Knight after seeing this movie) wreaks cooky havoc on the Deetz home with fellow ghosts Adam and Barbara (Alec Baldwin, looking very young, and Geena Davis). Winona Ryder also stars as the black clad girl who befriends the couple. It’s odd and totally crazy and definitely a Burton film – with some clear disturbing/spooky moments, especially towards the end. Might not want to watch alone. Ghostbusters – Because nothing heralds winter like a giant marshmallow terrorizing the streets of Manhattan. Extremely minimal horrors, but with plenty of otherworldly monsters and goings on (not forgetting Slimer, of course), it’s got the added bonus of being an almost universally loved comedy. With Bill Murray, Dan Aykroyd and Harold Ramis as the paranormal avengers, as well as Sigourney Weaver, Ernie Hudson, Rick Moranis, and Annie Potts. The Nightmare before Christmas – I know, this is probably a bit standard and boring, but how can you have a list like this without it? After all, don’t be fooled by the name – the whole movie actually revolves around a place called “Halloween Town” and starts off with a bunch of sinister-looking animated characters chanting “This is Halloween!” Now that’s a Halloween movie. This stop-motion holiday film (now in 3D! ), another one from Halloween maestro Tim Burton, is spooky and Halloween gloomy without being really scary. And with the additional inclusion of Christmas Town in the movie, you get two holidays in one! Buffy the Vampire Slayer – Before it was a critically-acclaimed hip show, and way before it was touring as a sing-along, Buffy was a completely campy early ’90s flick from cult god Joss Whedon starring Kristy Swanson (Buffy), Donald Sutherland as “the Watcher” and Luke Perry as the boy toy. Not to mention Hilary Swank, David Arquette and, believe it or not, Paul Reubens (yes, Pee Wee Herman himself) in other roles. Now, I’m not saying it’s good, and in my mind, it’s definitely got its scary vampire moments, but it’s a lot of camp fun. The Mummy – The mummy itself may be scary to some (although I don’t think anyone can argue that the beetles are pretty darn icky), but it’s light monster fun for the action set. Just turn away whenever the mummy or beetles attack anyone and it’s no problem. Spirited Away – A beautiful and ethereal fairy tale for the indie lover, with an actual long-legged beastie, from Japanese anime master Hayao Miyazaki. You’ll never see another haunted house quite like this. Wallace and Gromit and the Curse of the Were-Rabbit – Just pure guilt-free fun. I received a comment yesterday from the eloquent blogger of Ripple Effects asking me for my favorite movie quotes. By no means an unreasonable request – after all, how can I post quotes day after day without pointing out my own favorites? So, here they are, the many, many quotes I know and love and quote incessantly to my friends (Eventually, that’s gotta make them love them too, right?… Right?). No “Rosebud” or “Frankly, my dear, I don’t give a damn” here, this is a list of personal favorites, ones that caught me for some inexplicable reason and somehow stayed among the various other miscellanies I seem to collect. They’re not necessarily classy, or even profound in any way (at all). But I just can’t get enough of ’em. They’re my guilty pleasure quotes, if you’d like. This is personal, so be gentle – but not too gentle, of course. What do you think? Anything I missed? What quotes are your guilty pleasures? Oh, I’ve been, uh… working out. – Which is another way of saying no one is. I’m not dead!… I’m getting better! Blue. No yel – aaaahhhhh! He’s got a two day head start on you, which is more than he needs. Brody’s got friends in every town and village from here to the Sudan. He speaks a dozen languages, knows every local custom. He’ll blend in, disappear, you’ll never see him again. With any luck, he’s got the Grail already. – But you said he had a two day head start. That he would blend in, disappear. – Are you kidding? I made all that up. You know Marcus. He once got lost in his own museum. Into the weenie mobile. Weenie man awaaaay! Leaves only the fresh scent of pine. – Are you boys cooking up there? – Are you building an interocitor? Daddy, some people lost all their belongings, don’t you think that includes athletic equipment? Well, uh, I thought they declared peace in the Middle East. I put some Windex on it. Oh, that’s okay. That’s okay. I make lamb. – No time to discuss this as a committee. – I am NOT a committee! And now, young Skywalker… you will die. – She is mute, my lord. – Really? She spoke quite forcefully. Hello, old man, how are you? In Switzerland they had brotherly love, 500 years of democracy and peace, and what did that produce? The cuckoo clock. Do these attentions proceed from the impulse of the moment, or are they the result of previous study? The first rule of fight club is – you do not talk about fight club. 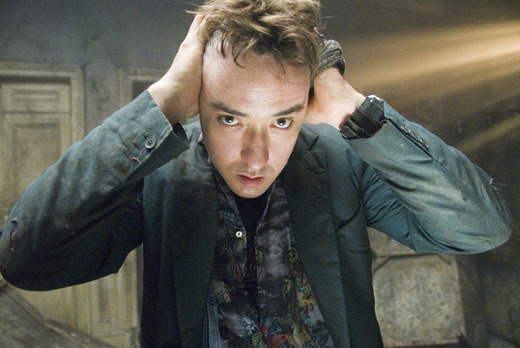 The second rule of fight club is – you do not talk about fight club! The ship is breaking apart and all that. Just FYI. May I say, speaking for my own press service, we believe your Highness’s faith will not be unjustified. Wait for the opportune moment. – Well, if it ain’t my little buddy Beni. I think I’ll kill you. – Think of my children. – Patience, Iago, patience. Gazeem was obviously less than worthy. – Oh, there’s a big surprise. Well, it just so happens that your friend here is only MOSTLY dead. Hello. My name is Inigo Montoya. You killed my father, prepare to die. You are currently browsing the archives for the The Mummy category.